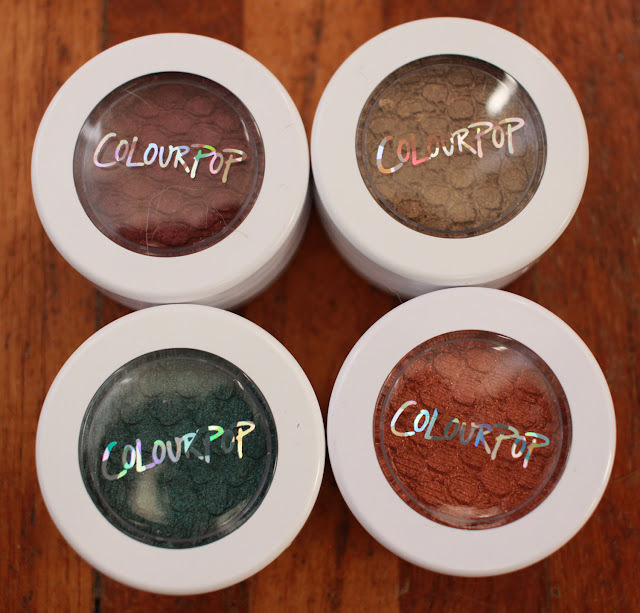 My Mum completely spoiled me with some amazing Colourpop eye products for Christmas, and I just had to share them on my blog. I had only tried their lip products previously so was super excited to get my hands on some of their eye range too! 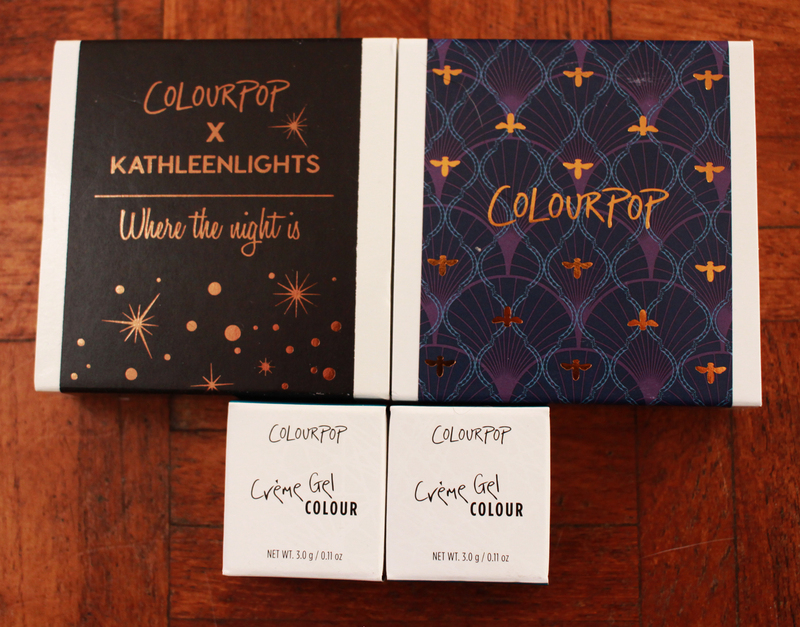 This stunning quad of eyeshadows is the Kathleen Lights collaboration 'Where The Night Is'. The colours are L-R Porter and Weenie in the top row, and Midnight and Telepathy in the bottom row. I also got the 'Studio 1400' quad, in the top row are Static and 8 Track, and in the bottom row Donna and White Rabbit. The packaging is nice and sturdy and has a good 'click' when you twist it shut, and when I managed to drop one of these on the wooden floor it was totally unharmed! Rather than swatch them in their quads, instead I've put the similar colours from each quad together to show how different they actually are. This is Porter and Static. Porter is a stunning red tone with gold glitter in it, and Static is a burgundy toned bronze, both have a pearlised finish. All of these swatches were done with my fingers, and only one swipe onto my hand. The pigmentation is absolutely unreal! 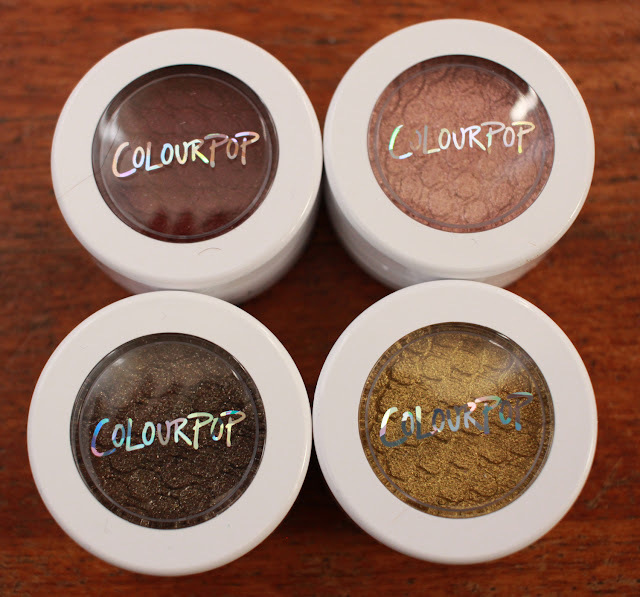 All the eye shadows are so buttery and soft, I've never felt an eye shadow like it. This is 8 Track on the top, and Midnight on the bottom. 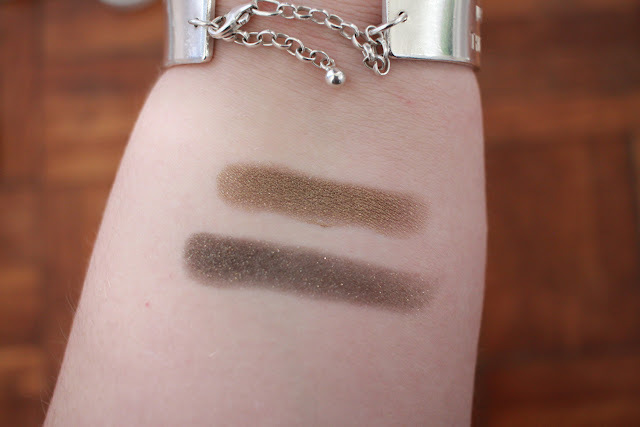 8 Track is a khaki toned bronze and Midnight is a black with gold glitter. This is only one swipe, so with a second it would be a really true black. This is Weenie and White Rabbit, and they are absolutely divine. 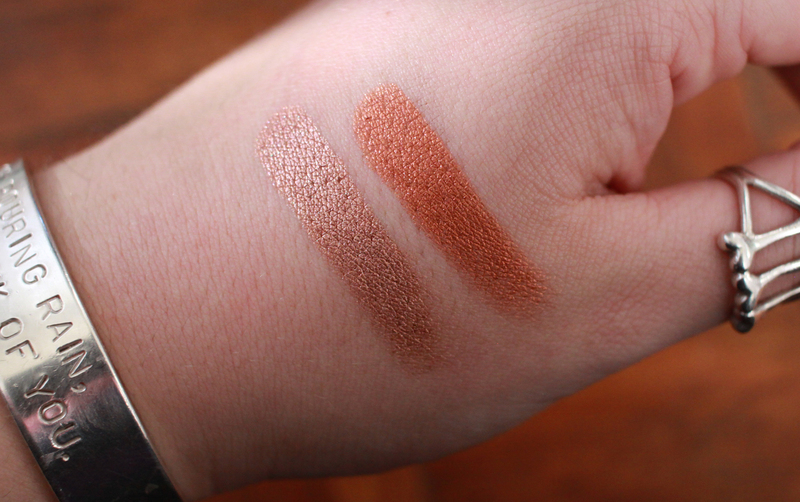 Weenie is a stunning deep rose gold, and White Rabbit is a an orange toned metallic. On the website White Rabbit was described as a pink copper, but I don't really see any of the pink in it. And I saved the best for last, Donna and Telepathy. 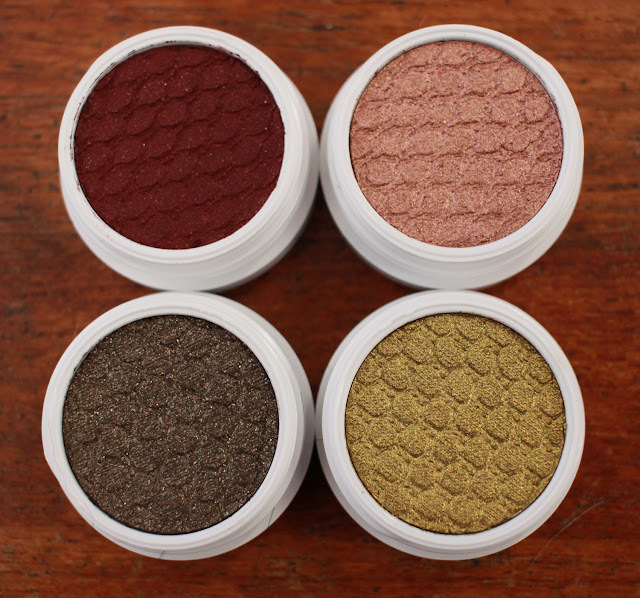 When I swatched these I literally gasped out loud at how gorgeous they were, these are some of the prettiest eye shadows I have ever seen. 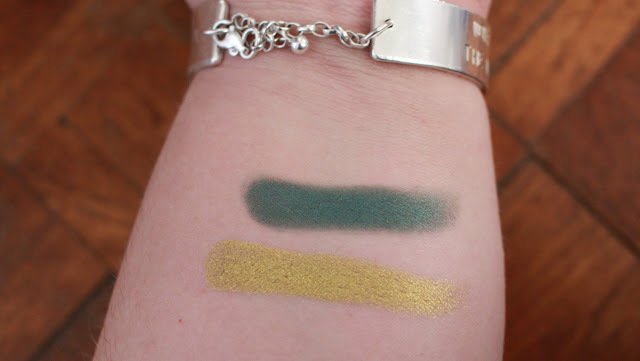 Donna is a delightful emerald green and Telepathy is a yellow toned green, a chartreuse. 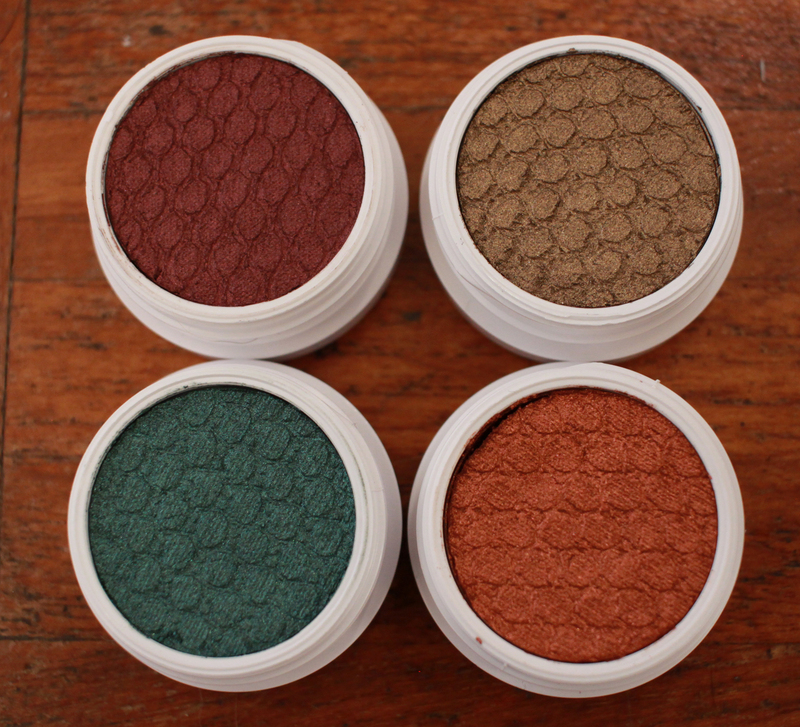 Green tones are my favourite in eye shadows, and these are unbelievable. 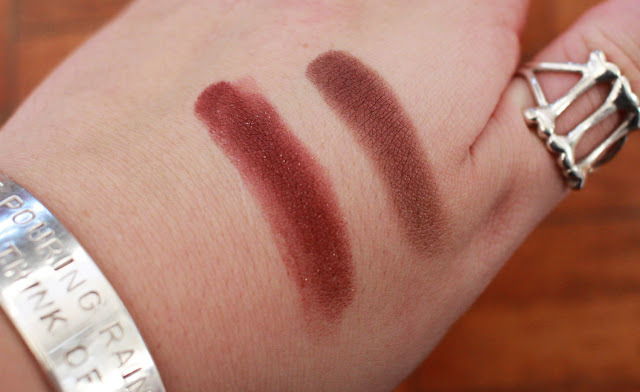 I did also get two of the creme gel eyeliners but I couldn't actually get them open to swatch them. I need my husband's muscles for that one! Oh I'm all the jealous! Need to get out of this January slump so I can treat myself to these. I'm desperate for Porter, Telepathy and White Rabbit. My favourite Colourpop product has to be the liquid lipstick in Marshmallow. These shadows look very good. And they offer such a wide range of colours!